At SGS Engineering, we have a range of shears and scissors for every job, whether you’re looking for tin snips, metal cutters, cable cutters or tube cutters. Our range of Milwaukee and OX scissors allow users to perform a variety of cuts, including offset, longcut, straight, right and left cuts. Milwaukee 4932464850 Extendable Bolt Cutters 14"/18"
Milwaukee 4932464851 Extendable Bolt Cutters 24"/30"
At SGS Engineering, we only sell the best, which is why our snips and cutters are from trusted UK brand Milwaukee. Our shears and scissors have been designed for comfort and grip, and feature ergonomic, rubber-coated handles. 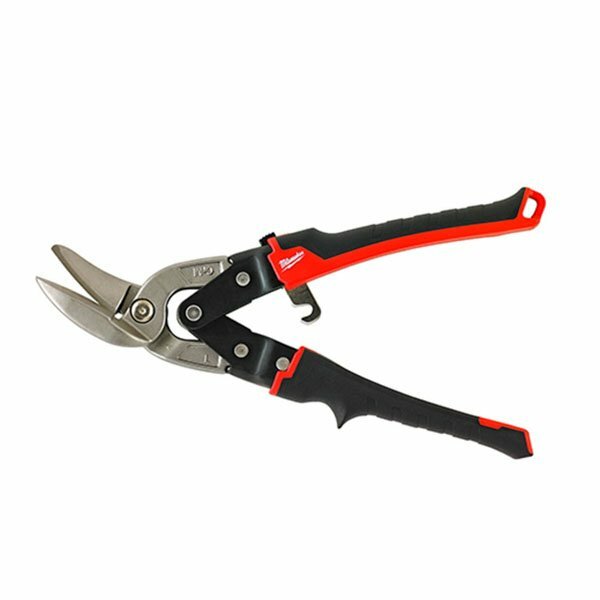 We stock tin snips, metal cutters, cable cutters and tube cutters with iron carbide edge blades, for increased performance, robustness and long life. Browse through our full selection of shears and scissors today. The Milwaukee Jobsite Offset Scissors have an iron carbide cutting edges for maximum durability, offering a longer lifetime compared to stainless steel.The chrome plated blades provide maximum rust protection. Milwaukee Straight cut snips are designed for short straight cuts.Thumb and forefinger slots for increased comfort and less fatigue. Milwaukee offer a range of cutting products from metal straight cut, to metal snips. Milwaukee cater for all cuts with metal snips that are right, left, straight, offset and long cut. Scissors are also available in offset and straight. Whether you’re searching for cable tie cutters or metal cutting snips, we have a pair of Milwaukee scissors that are right for you. Included in our range are the Milwaukee Jobsite Offset Scissors, which have ruler markings on their micro-serrated blades as well as big handle hoops, to allow the user to wear gloves. Or there are sheet metal scissors, such as the Milwaukee Long Cut 12in/300mm Straight Metal Snips, with precision machined steel blades that can cut through 20-gauge steel. Our Milwaukee metal shears have been designed for durability and comfort, with chrome-plated rust protected blades and rubber coated handles. At SGS, our tin snips, metal cutters and cable cutters cater for different cuts, providing the perfect tool for any job. Buy before 4pm today to secure next-day delivery.